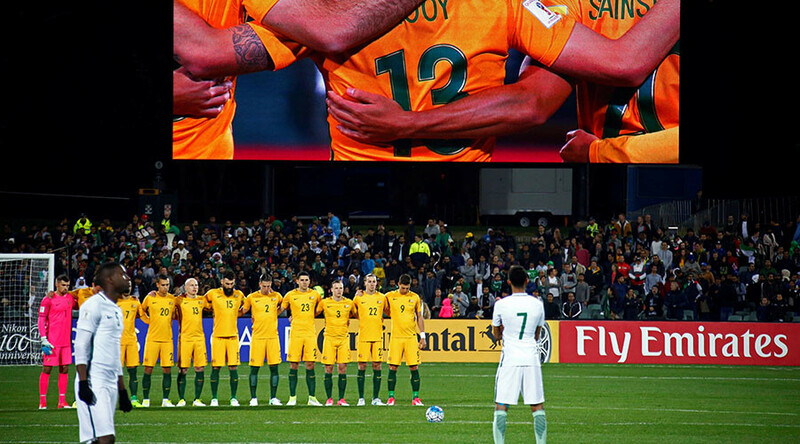 The Saudi Arabia men's national football team triggered controversy when they failed to line up for a minute's silence in memory of the London terror attack victims before their World Cup qualifying match against Australia in Adelaide. While an announcement resonated across the stadium, making clear what was about to happen, the Australian players lined up and put their arms around each other. "We stop to remember all the lives lost, all those families and friends affected by this terrible tragedy, and in particular we reflect on the loss of two young Australian women living and working in London," the announcer said. However, the Saudi players didn't line up at all, and some were seen wandering around the field. — Damon Burley (@damonburley) 8 июня 2017 г. Angry fans took to social media to express their fury with the Saudi team, with one user saying he hopes the Football Federation Australia (FFA) "calls out" Saudi Arabia on the "clear lack of respect." I hope FFA call out Saudi Arabia on the clear lack of respect shown prior to KO. Not participating in the minutes silence is disgusting. — PG3_12 (@PG3_12) 8 июня 2017 г. Another user wrote that "some things are bigger than football," encouraging the Saudi team to "show some class." #AUSvKSA Saudis don't even line up in respect. Show some class. Some things are bigger than football. — Daniel Passante (@danpassante21) 8 июня 2017 г. One person said that showing respect for the victims was "not hard." — Anthony Siokos (@AnthonySiokos) 8 июня 2017 г.
Twitter user @StDelta1873 accused the Saudi team of "wandering around like they don't give a f**k..."
However, one person was quick to defend the team, saying they come from another culture. — Visa4you (@ksa_visas) 8 июня 2017 г. The two Australian victims, Sara Zelenak and Kirsty Boden, were among eight people killed in the Saturday attack in London. Forty-eight others were injured in the attack.